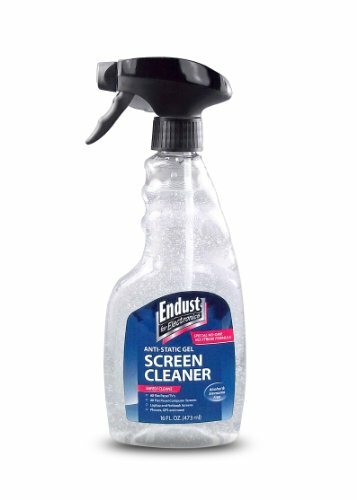 Endust for Electronics LCD and Plasma Screen Cleaning 16oz Anti-Static Gel. This alcohol and ammonia-free gel formula is specifically designed to safely and effectively clean LCD and plasma screens and will not run down into sensitive equipment. When sprayed on the vertical surface of your screen, the gel stays put until you are ready to wipe. This special formula is streak-free and is safe on non-glare coatings. For best results, use with and Endust for Electronics Microfiber Cloth part no. 11421.